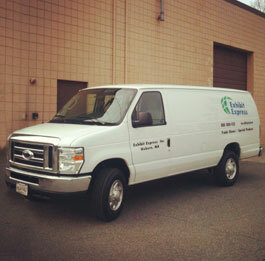 Exhibit Express, Inc. offers national shipping services for trade shows, special products and traveling museum exhibits. We have been delivering time sensitive cargo and trade show transportation solutions to corporate marketing managers for 35 years. In addition to an award-winning Van Line booking agent for CRST Specialized Transportation, Inc., Exhibit Express, Inc. is a wholly owned Freight Forwarder – allowing us to service both large and small shipments nationwide. We coordinate shipments based on your budgeting, shipping dates, materials, weights, size of shipment, set-up and dismantle dates to ensure your exhibits arrive at their destination safely and on time. We are a family owned and operated trade show logistics management company responding to clients across the United States. Since our founding in 1979, our mission has been based on the belief that customer’s expectations come first. With this in mind, we provide world-class services to earn the selection of your first choice in the delivery of exhibit and cargo needs. Our on time commitment allows marketing and shipping managers to finalize other details that truly make their trade show a success—without worrying about their shipment.